Alfred Joshua Olorundare Adesanmi, ten years ago today, you left us after a gruelling 22-year battle with illness. Ten years and it still feels like yesterday. The pain of your death is still raw. The enormity of what we lost is still felt by your wife and children who still talk about you in present tense. Today I decide to open a box containing some of your stuff in order to be able to spend time in your company. After we buried you ten years ago, mom put some of your stuff in two boxes and I returned to Ottawa with them. A few ears ago, I opened one of the boxes and saw a complete collection of Pace Setters novels. I wrote a tribute to you entitled Pace Setters. Today I open this second box to gems from the world you scribbled. I see a treasure trove of typed speeches you delivered on various occasions from the 1960s to the 1980s. Many of the speeches were delivered to secondary school students. Graduation and prize giving day speeches. I see a level of discourse, critique, and engagement of issues that one does not dare employ with undergraduates today. Yet your audience were secondary school students. Does it mean that their level of intellectual comprehension was vastly superior to what we have in the Universities today? In some of your lectures and speeches, especially from the mid-70s, I notice that you begin to grumble about standards and quality in the Nigerian education sector. Your critique continues and grows more trenchant till your speeches in the 80s. How were you to know that you were grumbling about paradise? You should see what your only son is writing today about the education sector you said was collapsing in the 70s and 80s. The box also contains all your certificates. I see your primary school leaving certificate signed 14th December, 1945. I see your Grade Three Certificate of Education obtained in 1953. The two years you spent at the Dundee College of Education in the United Kingdom comes with three different certificates that I see here. I see a General Certificate of Education Examination in History and Religious Knowledge from 1961. It even says you sat for the exam at Dundee Technical College. I see a second General Certificate of Education Examination in British Constitution from 1962. Then I see your overall Dundee College of Education Diploma from 1962. It says you are a Commonwealth Bursar from Nigeria and satisfactorily completed a two-year course in Teacher and Teacher Training including Theory of Education, Psychology, and Primary School Subjects. Then I see your BA History and MA Education certificates from Ahmadu Bello University from the 1970s. So much family history here intersections with the colonial underbelly of your naming. In all your certificates from primary school till Dundee, you are addressed as Alfred Joshua. Alfred is your baptismal name. Your father, my grandfather, was named Joshua when the missionaries converted and baptised him. 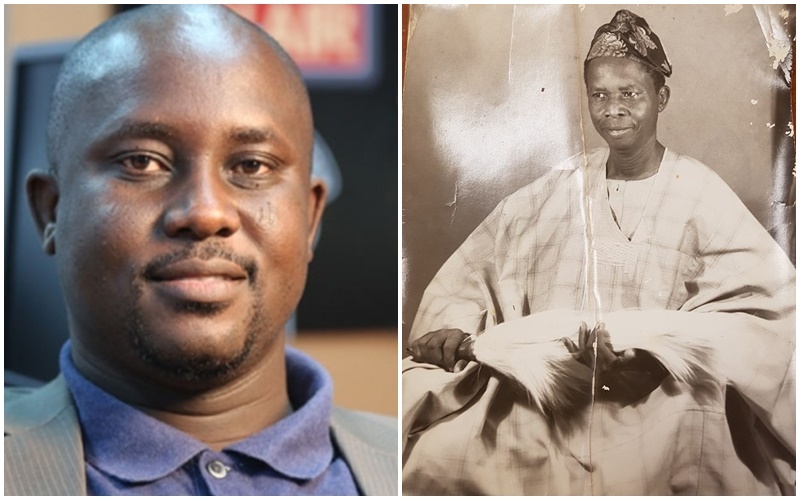 They had also changed his last name from Ifasanmi to Adesanmi because of the offending Ifa in the name. Had you remained Alfred Joshua and not changed things to Alfred Olorundare Adesanmi when you returned from Dundee, I would have been writing today as Pius Joshua. But you also performed a bit of colonialist christian identity surgery on me Dad. I was Adebola Adesanmi till I was ten years-old. You suddenly decided that my baptismal and middle name was a worthier occupant of the first name slot than Adebola. Today, I am sufficiently ideologically rooted in Africa to want to return to Adebola Ifasanmi but I am not going to do that to you. You slept ten years ago happy at your work, Pius Adesanmi, and it shall remain so. Besides, Pius is not standing in the way of who Adebola is culturally, ideologically, and identity-wise. In the box, I also see one of your diairies from the 1980s. You kept volumes and volumes of diaries. As principal of Egbe Girls College, some parents would keep the pocket money of their children with you. I see your meticulous documentation of how the students were withdrawing their money from you. On January 26, 1985, Mr Etomi deposited 100 naira with you for his daughter Aunty Elizabeth Etomi, my elder sister’s friend. Aunty Elizabeth withdrew 20 naira on January 31, 1985, 50 naira on February 4, 1985, 20 naira on March 21, 1985. On another page I see a note that you were going to ask her why she was spending so fast and you planned to talk to her Dad. I see these kinds of diary entries for scores of students from St Augustine’s College, Kabba and St Kizito’s College, Isanlu. In the box I see old photos of you from your time as a teacher in Katsina in the 1950s and 60s. I see a photo of you and mom. Mom is carrying your first born, my elder sister, Iyabo Maria Toluhi. “I am my own master. I have the power to do all things that God wills me to do. God is my supply. He is infinite. All things belong to him. I am part of Him. All things belong to me. I possess all”. Dad, you who dated everything so meticulously did not date this entry. Its just there alone on the last page of your 1984 diary. Did you perhaps realize that the nugget you scribbled belongs to all times and all ages and did not wish to pin it to specfic date? Your wife and children are doing fine.